There was a time soon after I graduated college that I was so obsessed with High School Musical. I was unemployed, and I was a kid at heart who can’t stop watching Disney Channel all day while I did nothing, so when I saw the trailer for High School Musical, I was curious. Then I watched it, and watched it and I couldn’t stop. I loved the entire thing. I even bought the book, and then watched the movie(s) and played the songs until I got sick of it all. But I have fond memories of those movies, and sometimes I kinda wish that I can break into song any time and people will just join me in singing…even if I can’t sing. Haha. But anyway. 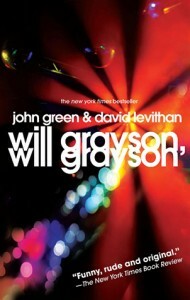 Will Grayson, Will Grayson by John Green and David Levithan features two Will Graysons who meet one night in the strangest place in Chicago.. There’s the “don’t speak, don’t participate” Will Grayson, best friend to Tiny Cooper, a large and gay guy who heads their school’s Gay-Straight Alliance. All Will is concerned with is not getting noticed, but being friends with Tiny Cooper makes that difficult. And then there’s Tiny’s friend Jane, who seems nice, but Will wasn’t sure if she’s straight or not. And then there’s Will # 2, or will grayson (without the caps), who lives a hard and isolated life, with just an online friend named Isaac making his life easier. The two Wills meet one night, and then their lives change…and it all goes down in a high school musical made by Tiny Cooper. It seemed like the best time to read a John Green book where he wrote with someone else is always around the holiday season. Or maybe I’m just saying that now because last year, I read Let It Snow around Christmas time too, and I enjoyed it, so when I was looking for a happy book to read during the holidays this year, I decided to read this book. I was already tickled by the first chapter — classic Green, introducing his main characters: a lead who isn’t really interested in standing out, a girl who seems partially unattainable, and a loud sidekick (except this time we have a louder and bigger sidekick). It was cute, and then I go into the other will’s world and I was plunged into a dark, depressing world. I almost stopped — what was this? Why is this will so sad? And why is it taking so long for the two Wills to meet? I honestly thought I wouldn’t like it, especially since I felt that will’s chapters were too depressing. Granted, will was depressed, but I wanted to finish his chapters so I can go back to the other Will, who was partially pleasant. That, and it was kind of fun reading Tiny Cooper, even if it seems like the book should have been about him because…well, it was all about him. Suddenly he didn’t seem like a sidekick. But anyway, I found Will’s chapters funnier, and I liked the cute little “dancing” thing he had with Jane. 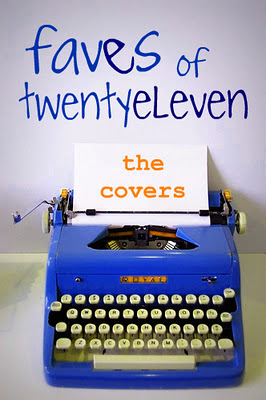 It was something you’d expect from John Green, really, and it was really nice to read. I really thought I wouldn’t like the book, but then I got to the end and I actually found myself tearing up at some parts. I think the best part of this book isn’t the romance, or even the Will Graysons meeting, but Will’s friendship with Tiny. It reminded me a little of my own friendships with people and how true it was with how we all just happened to be friends, and we didn’t really seek each other out at first. Although I don’t completely buy the fact about you can’t pick who your friends are, I like the sentiment that Will expressed when he told Tiny that if he could pick his friends, he would still pick Tiny. That was really heartwarming. The ending did feel a little contrived, but I thought it was sweet and funny, especially at the exchanging numbers part. Hihi. But it was a nice way to end it, especially since I’ve long suspended my disbelief with how the musical came together and all that. Just like in High School Musical – you don’t really think what they did could happen in real life, right? But still, it was fun to watch, and it was a nice and sweet ending. Same with Will Grayson, Will Grayson: the ending was nice and heartwarming, and I actually found tears in my eyes by the time I ended the book. 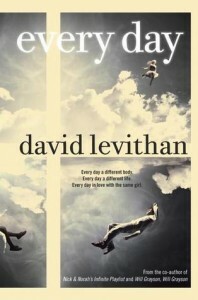 Every Day by David Levithan (4/5) – Levithan does it again. There were several memorable quotes here, and it was the right book to start February with. I still like The Lover’s Dictionary just a bit more, but Every Day is pretty good. Boundless by Cynthia Hand (4/5) – The finale to my favorite angel series. I lost sleep over this! 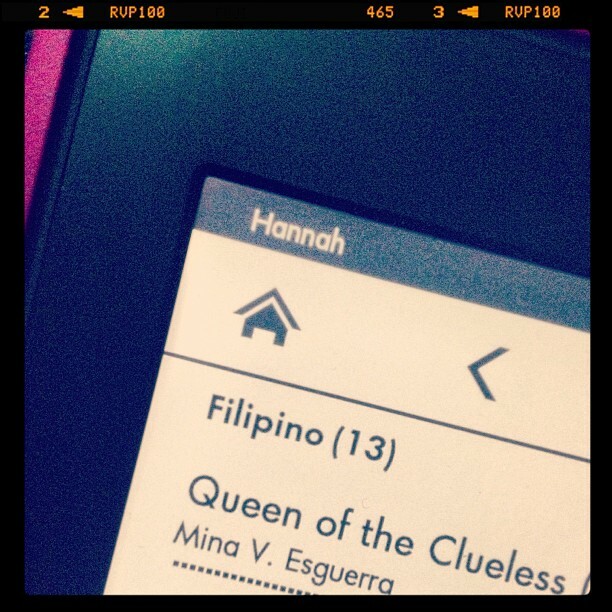 Still gathering my thoughts for my review – wait for it! 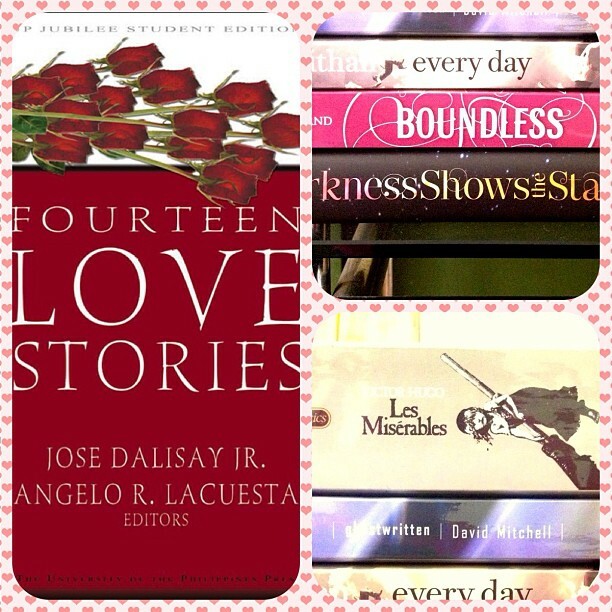 Fourteen Love Stories edited by Jose Dalisay Jr. and Angelo R. Lacuesta (3/5) – It was okay, and there were some stories I really liked, but there were others that I was kind of ambivalent about. I guess I was expecting it to give me more feels? I wasn’t able to crack open For Darkness Shows the Stars at all, and I’m still in the middle of Ghostwritten, but I won’t include them in the next month’s list anymore. 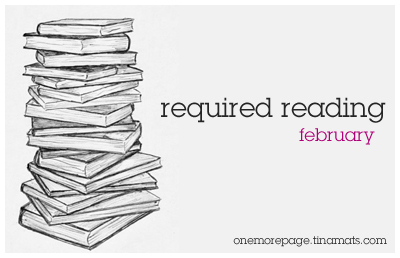 I did read several romance books in the last month to keep up with the theme — needless to say, I had a very “romantic” month because of all that. On to my favorite month! I can’t exactly say I’m a huge, huge fan of David Levithan’s books, although I admit that I like reading his stuff. I mean, I enjoyed The Lover’s Dictionary immensely and I am rather charmed by Dash and Lily’s Book of Dares, but it doesn’t make me feel like I would go out and read everything he ever wrote. For Mr. Levithan, I still rely a bit on reviews before I actually get one of his new books again. And that is why I got myself a copy of Every Day. Truth be told, the summary isn’t enough to get to me — I tend to avoid paranormal things unless I’m watching the series or I strike a particular mood, and Every Day‘s synopsis kind of reminds me of those insta-love things that I don’t really like. Granted, it seems more sci-fi than paranormal, but it wasn’t until I read Wendy’s review of the book that kind of sealed the deal for me. So A is a…being. Something. He wakes up in a different body everyday, and he has no attachments, no nothing. He cannot afford to have them because nothing is permanent in his world anyway. Until one morning, when he wakes up in the body of Justin and meets his girlfriend, Rhiannon. Suddenly, there’s something that makes him want to stay — and it’s Rhiannon. We don’t get explanations why A jumps from one body to another, so we pretty much have to accept what he can do at the start. It was a bit hard for me to swallow, especially when my mind gets confused when A is in a female body but in my mind he is still a male. Then I recount his/her interactions with Rhiannon, and it gets even more confusing. There’s a lot to question, and if you’re sci-fi buff, you’d wish for an explanation, and that was never really provided in the book. Every Day had the right amount of angst and hope and sentimentality to make me sigh at the early parts of February. Some book club friends and I had a readalong for it, and we had a very interesting discussion about love, about A and if there’s anything selfish about falling in love. I honestly felt sad for A because he cannot afford to have memories, and so he clings so hard to Rhiannon because she seems to be the only good thing that he can hold on to. It’s sad, and somehow you knew it was a doomed thing from the start. I wondered how Levithan would end it, and I was really pleased with what he did with the ending. It seemed the most right thing to do. It wasn’t the easiest decision, but perhaps it was the best for the both of them. It doesn’t make it less sad, though. But…that’s love. More than being a decision, love is choosing what’s best for the other person, even if it is at the cost of your own happiness. I read this article sometime last year that hits this right on the head (emphasis mine): How do you truly know whether you are committed to this person and that you truly love him or her? Here’s how you know: Your love is directly proportional to your willingness to act unselfishly, to even let the person think less of you, if in doing so you are serving their spiritual advancement. When first love ends, most people eventually know there will be more to come. They are not through with love. Love is not through with them. It will never be the same as the first, but it will be better in different ways.